اتخاذ رویکرد بلندمدت برای سرمایه‌گذاری در بخش آب و فاضلاب ایران از آنجا اهمیت پیدا می‌کند که کشور ما با کمبود آب روبه روست و در عین‌حال شبکه آبرسانی فرسوده بوده و از روش‌های آبیاری عمدتاً قدیمی در بخش کشاورزی استفاده می‌کند و این موضوع منجر به میزان هدررفت بسیار زیادی می‌شود. با در نظر گرفتن این موضوع، یکی از روش‌هایی که برای سرمایه‌گذاری کارآمد در این بخش استفاده می‌شود، مشارکت خصوصی در بخش عمومی است که در موارد بسیاری موفق و گاهی هم ناموفق بوده است. لذا سوالی که مطرح می‌شود این است: چه نوع چارچوب قراردادی با بخش خصوصی احتمال موفقیت این نوع مشارکت‌ها را افزایش می‌دهد؟ روش سنتی در این نوع مشارکت این گونه است که قسمت ساخت تجهیزات و خدمات توزیع و بهره‌برداری به‌طور جداگانه توافق و اجرا می‌شود و ارتباط بین این بخش‌ها از طریق قیمت بر واحد آب برقرار می‌شود. اما در روش مدرن، این مشارکت به‌صورت یکپارچه انجام می‌شود و به‌دلیل این یکپارچگی مشارکت‌کننده خصوصی می‌تواند از قیمت‌گذاری‌های غیرخطی به‌صورت کارآمدتری استفاده کند. در این مطالعه از دید قیمت‌گذاری، اثر نوع قراردادهای مشارکت بر موفقیت آن‌ها تحلیل شد. ابتدا مدل‌سازی نظری ساختار تقاضای آب و هزینه ارائه آن در بخش ساخت و ارائه خدمات ارائه شد. سپس با استفاده از معیار رفاه اجتماعی نتایج درونزای انعقاد قراردادهای یکپارچه و جداگانه، که بر اساس آن قیمت‌های غیرخطی و بر واحد استفاده می‌شوند، در قراردادهای بلندمدت و کوتاه‌مدت ارزیابی شد. مقایسه‌ها با استفاده از شبیه‌سازی بر اساس روش‌های حداکثرسازی عددی انجام ‌شدند. طولانی کردن مدت قرارداد و استفاده آزادانه از قیمت‌گذاری‌های غیرخطی برای موفقیتِ استفاده از مشارکت خصوصی یکپارچه در بخش عمومی دارای کارآمدی اجتماعی است. البته در صورت بزرگی هزینه‌های اجتماعی بهره‌برداری ممکن است بهتر باشد از رویکردهای سنتی و یا سرمایه‌گذاری مستقیم خود دولت استفاده شود. Adopting a long-term horizon in planning for investment in water and wastewater projects is especially important in Iran beacause of the nationwide water scarcity and the high water losses due to the worn out water supply networks and the traditional irrigation methods still in practice. One method commonly used to ensure enhanced and efficient investment in this sector is the Public-Private Partnership (P3) model which has proved to be successful in many cases but failing in others. The question that arises at this juncture then is what kind of contractual framework, if any, could enhance the likelihood of success in such partnership schemes. The traditional framework for public-private partnerships involves independent contractual agreements for each of the manufacturing, service delivery, and operation components, all of which would be reflected in the ultimate unit water price. In the modern framework, however, an integrated partnership is practiced which allows for the private sector partner to make more efficient use of nonlinear water pricing. The present study investigates the effects of different contractual frameworks from a pricing viewpoint. For this purpose, a theoretical model is initially developed of the water demand and cost structure for the construction and service delivery components. Social welfare will then be used as a measure to assess the endogenous results of both long-term and short-term contracts within the integrated and independent contractual frameworks which employ the nonlinear and the per-unit water pricing policies, respectively. Comparisons are then made using simulations based on numerical maximization methods. It is found that long-term contracts and deregulation of nonlinear pricing entail social benefits that ensure the success of the P3 framework under integrated contracts. Traditional methods of partnership or direct public investment may prove superior to the P3 framework from a social welfare perspective if the social costs of operation in water and wastewater projects exceed certain limits. 2. Lambrecht A., Seim, K., and Skiera, B. (2007). “Does uncertainty matter? Consumer behavior under three-part tariffs.” Marketing Science, 26(5), 698-710. 3. Wayne, L. E., and Meyer, R. (1976). “Monopoly pricing structures with imperfect discrimination.” Bell Journal of Economics, 7, 449-462. 4. OECD. (2009). “Managing water for all: An OECD perspective on pricing and financing.” Organisation for Economic Co-operation and Development, Paris, France. 5. FAO. (2008). “AQUASTAT survey.” <www.FAO.org/nr/water/aquastat/main/index/stm> (Act. 2015). 7. Haeri, M.R. (2003). “Kariz (Qanat): An eternal friendly system for harvesting groundwater.” In Adaptation Workshop, New Delhi, India. 8. Berbel, J., Calatrava, J., and Garrido, A. (2007). Water pricing and irrigation: A review of the European experience, Irrigation Water pricing Policy: The Gap Between Theory and Practice. CABI, IWMI, 295-327. 9. Fontenelle, J.P., Molle, F., and Turral, H. (2007). “Who will pay for water? The Vietnamese state’s dilemma of decentralization of water management in the Red River deltain.” Irrigation Water Pricing: The Gap Between Theory and Practice, CABE Pub., UK. 10. Greco, L. (2015). “Imperfect bundling in public–private partnerships.” Journal of Public Economic Theory, 17(1), 136-146. 11. Hart, O. (2003). “Incomplete contracts and public ownership: Remarks, and an application to public‐private partnerships.” The Economic Journal, 113(486), 69-76. 12. Crocker, K.J., and Masten, S.E. (1996). “Regulation and administered contracts revisited: Lessons from transaction-cost economics for public utility regulation.” Journal of Regulatory Economics, 9(1), 5-39. 13. De Bettignies, J.E., and Ross, T.W. (2004). “The economics of public-private partnerships.” OECD Working Party of Senior Budget officials Symposium on Agencies and Public-Private Partnership, Madrid. 14. Agthe, D. E., Billings, R. B., and Buras, N. (2003). Managing urban water supply, Springer, Pub., Tucsion , Arizona. 15. Marchionni, V., Cabral, M., Amado, C., and Covas, D. (2015). “Water supply infrastructure cost modelling.” Procedia Engineering, 119, 168-173. 16. Marchionni, V., Cabral, M., Amado, C., and Covas, D. (2016). “Estimating water supply infrastructure cost using regression techniques.” Journal of Water Resources Planning and Management, 142(4), doi : 10. 1061/(ASCE) WR. 1943-5452. 0000627. 17. Marchionni, V., Lopes, N., Mamouros, L., and Covas, D. (2014). “Modelling sewer systems costs with multiple linear regression.” Water Resources Management, 28(13), 4415-4431. 18. Nikoo, M.R., Kerachian, R., and Karimi, A. (2012). “A nonlinear interval model for water and waste load allocation in river basins.” Water Resources Management, 26(10), 2911-2926. 19. Bogaert, S., Vandenbroucke, D., Dworak, T., Berglund, M., Interwies, E., Görlitz, S., Schmidt, G., Alvaro, M.H., Lago, M., and Moeller-Gulland, J. (2012). The role of water pricing and water allocation in agriculture in delivering sustainable water use in Europe. European Commission: Brussels, Belgium. 20. Whittington, D., Boland, J., and Foster, V. (2002). 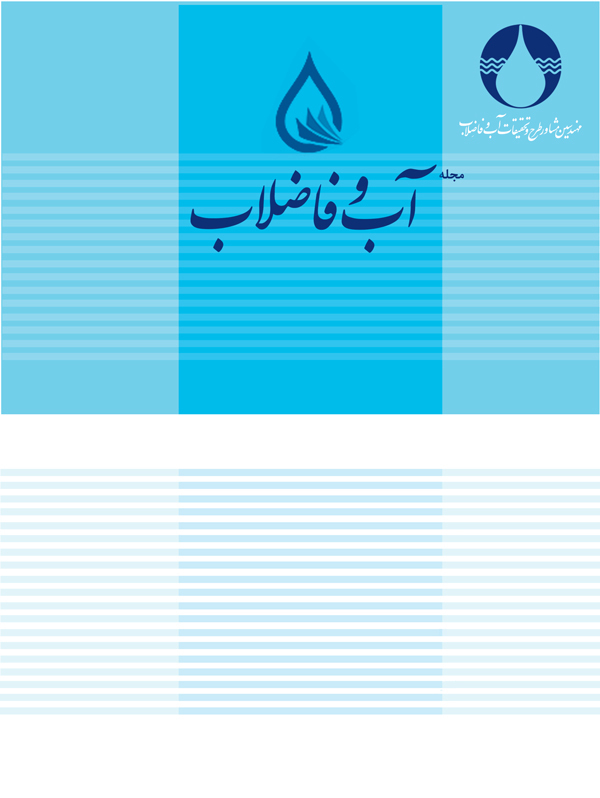 “Water tariffs and subsidies in South Asia: Understanding the basics.” Water and Sanitation Program Paper, 2., IDRC Research Paper, Ottawa, Candad. 21. Carlton, D. W., and Keating, B. (2015). “Antitrust, transaction costs, and merger simulation with nonlinear pricing.” The Journal of Law and Economics, 58(2), 269-289. 22. Coase, R. H. (1946). “Marginal cost controversy.” Economica, 13 (51), 169-182. 23. Oi, W. Y. (1971). “A disneyland dilemma: Two-part tariffs for a Mickey Mouse Monopoly.” The Quarterly Journal of Economics, 85(1), 77-96 . 24. Porcher, S. (2014). “Efficiency and equity in two-part tariffs: The case of residential water rates.” Applied Economics, 46(5), 539-555. 25. Pushpangadan, K., and Murugan, G. (2010). “Pricing of drinking water: An application of coase two-part tariff.” <> (July 2015). 26. Schlereth, C., and Skiera, B. (2012). “Measurement of consumer preferences for bucket pricing plans with different service attributes.” International Journal of Research in Marketing, 29(2), 167-180. 27. Schmalensee, R. (1981). “Output and welfare Implications of monopolistic third degree price discrimination.” American Economic Review, 71, 242-247.